WEATHER UPDATE: Due to inclement weather, this event has been RESCHEDULED to take place on Thursday, March 14, at the same time and at the same venue. Click Here for New Event Page. 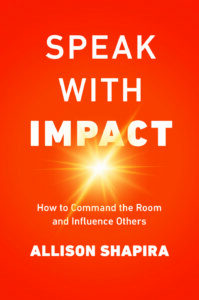 Please join the Washington Network Group (WNG) when we meet with Allison Shapira, CEO/Founder of Global Public Speaking LLC and author of Speak with Impact: How to Command the Room and Influence Others. She has spoken at the Fortune Most Powerful Women Next Gen Summit and was a finalist for 2017 Woman Business Owner of the Year by the National Association of Women Business Owners, San Diego Chapter. She lives in Washington, DC. Allison is a WNG Legacy Member. 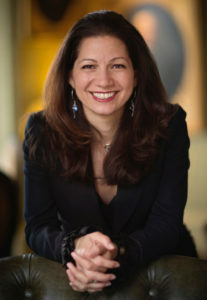 Follow Allison on Twitter @AllisonShapira. The WNG is a membership organization of professionals in business, finance, technology, foreign and government affairs, established in 1995. We are dedicated to helping WNG Members advance their business and professional objectives by facilitating networking events, educational forums, and career development opportunities.